Explore Los Angeles' surroundings by going to Anaheim (Disneyland Park, Disney California Adventure Park, & more) and Santa Monica Yacht Harbor Sign (in Santa Monica). Pack the 6th (Thu) with family-friendly diversions at Universal Studios Hollywood. And it doesn't end there: look and learn at Griffith Observatory, admire the masterpieces at Los Angeles County Museum of Art, admire the landmark architecture of Walt Disney Concert Hall, and enjoy the sand and surf at Venice Beach and Boardwalk. 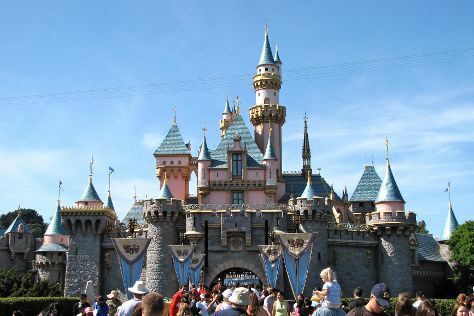 To plan Los Angeles vacation without wasting time, ask Inspirock to design an itinerary. If you are flying in from India, the closest major airports are Los Angeles International Airport, John Wayne Airport-Orange County Airport, Ontario International Airport and San Bernardino International Airport. Expect a daytime high around 30°C in June, and nighttime lows around 19°C. Finish up your sightseeing early on the 12th (Wed) so you can travel back home.